Hooper’s electric power division is pleased to partner with Xcel Energy to improve and expand power for the City of Minot, North Dakota. 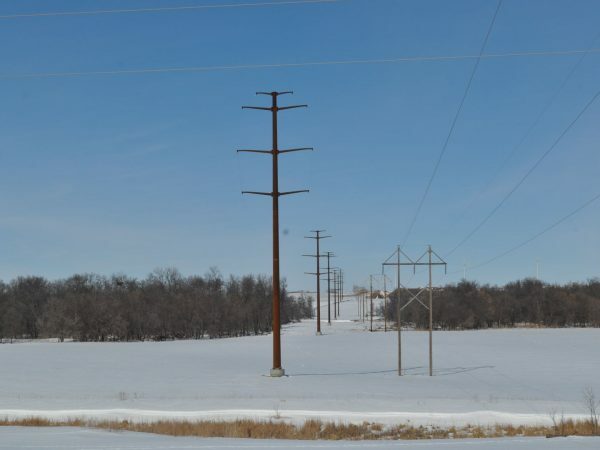 In a $49 million project approved by the North Dakota Public Service Commission, a new transmission line and power substation will be constructed to serve the needs of the expanding community. The existing electronic system will be upgraded through the construction of a 230 kV Magic City-McHenry transmission line and new substation to be constructed southeast of Minot. The existing system – a 115-kV line – was built more than 60 years ago. Working with Xcel Energy, Hooper will install a new double-circuit 230/115 kilovolt (kV) transmission line. 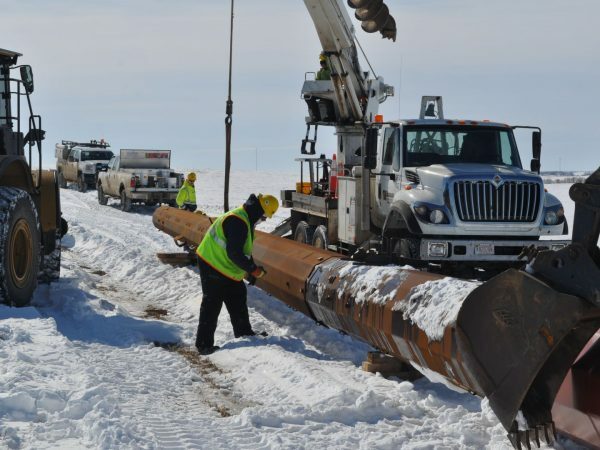 Once completed, the new transmission line will span roughly 20-miles, connecting the existing McHenry Substation near Velva, ND, with the new Magic City Substation located near the waste water treatment facility in Minot. One unique aspect of this project has been the proximity of the power lines to an active eagle nest. During the construction, crews carefully erected a series of nine structures in the area immediately proximate to the eagle’s nest. Seasonal construction restrictions prohibit any project work in the eagle nesting area between Feb. 1 and June 30. Any structures that were not installed in that area by Feb. 1 will be held off until early July. The stringing of the conductor will commence this summer. In the North Prairie Township, the new route deviates from the existing 115 kV transmission line for approximately 4.2 miles and will be located in new right-of-way. In addition, approximately 1.2 miles of new 115 kV transmission line will be constructed along a new right-of-way to connect the new Magic City Substation to the existing electrical grid in the City of Minot.